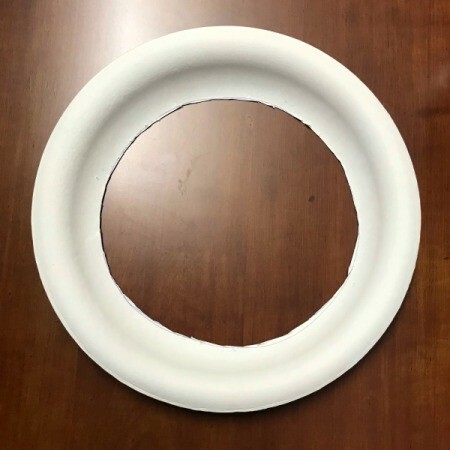 Can you believe this wreath was made with just a paper plate, ribbon and some spare floral decor I had? I made this wreath for my desk at work - it is very simple and actually could be hung throughout the year. I like the pale green and blue accents because it matches my office theme. 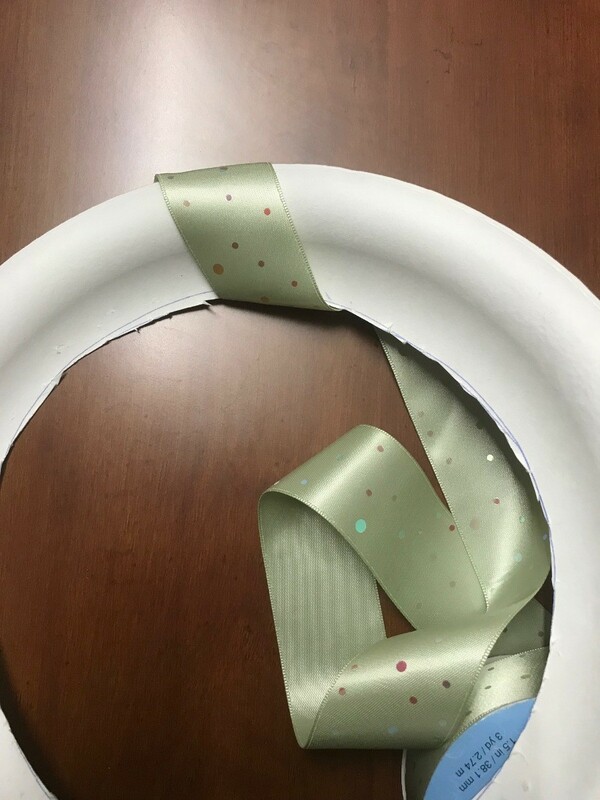 You can change the ribbon according to the season if you would like and alternative floral designs accordingly. At our Thanksgiving work potluck, we had these very durable plates and immediately I knew they'll be great for making a wreath! 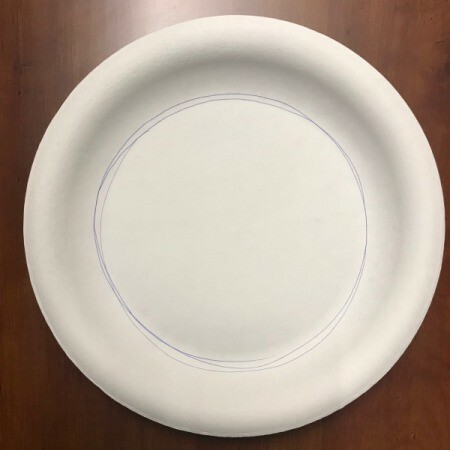 Using a pen or pencil, I drew a circle so it would be easy for me to follow the line to cut. Using scissors follow the line and cut. 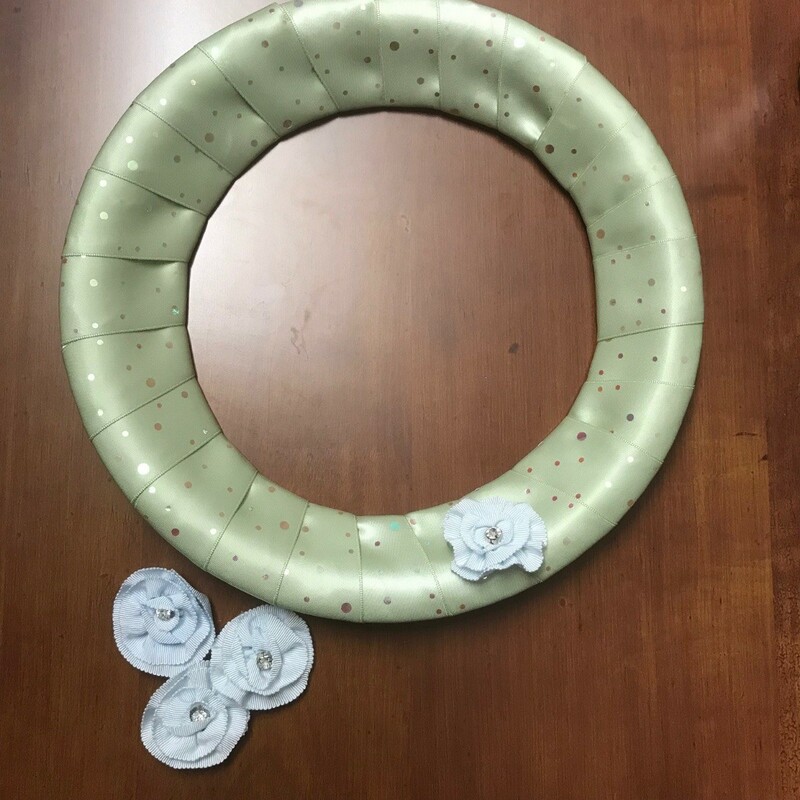 Using any ribbon of your choice, wrap your ribbon around the plate to create your wreath. 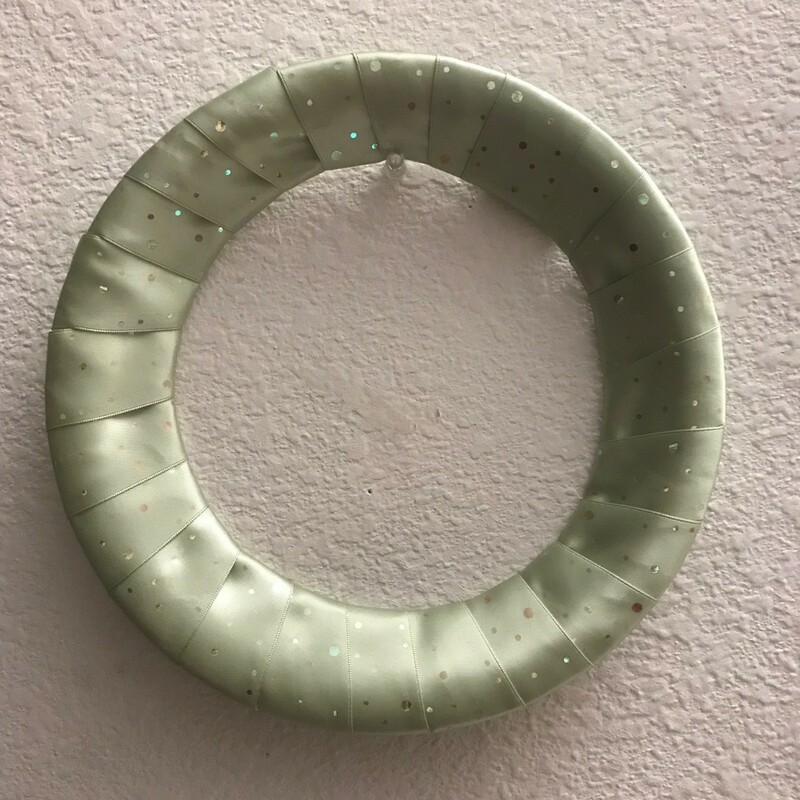 I used this beautiful pale green iridescent dot satin ribbon I purchased on clearance for $1.97 at my local craft store. I taped the ribbon down to the paper plate and wrapped all around. 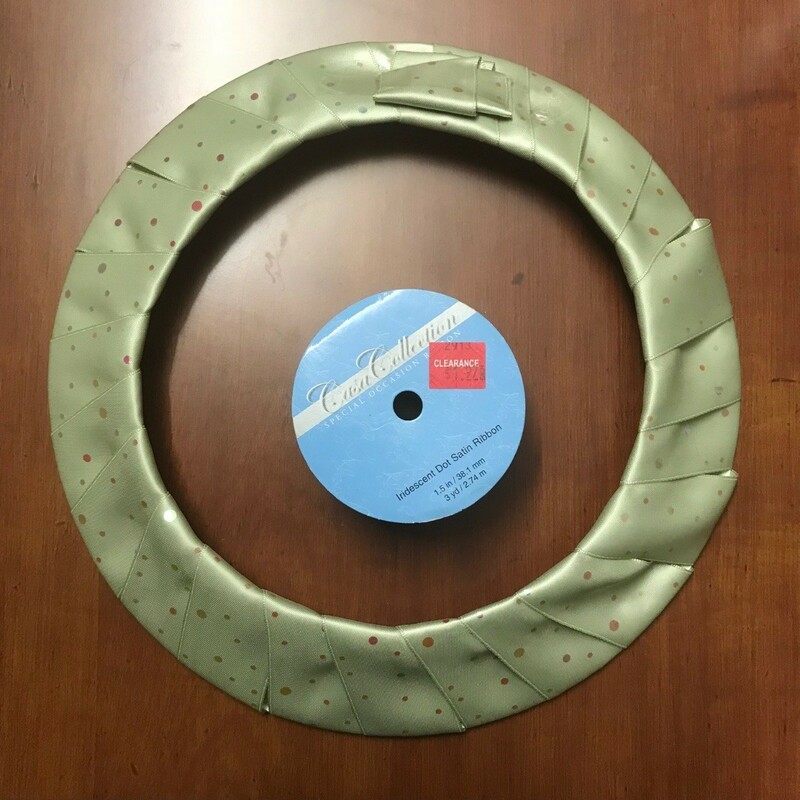 As reference: 3 yard ribbon roll was enough for this 10.5" wreath, with about 5" to spare. 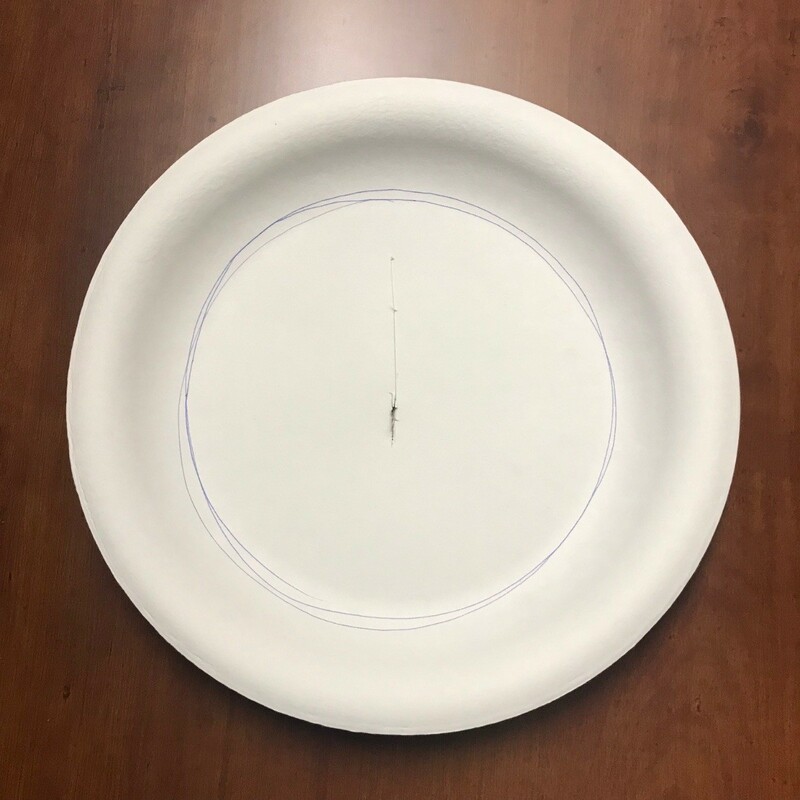 Since you could interchange the ribbon in the future and reuse the ribbon, I just taped the excess on the back. 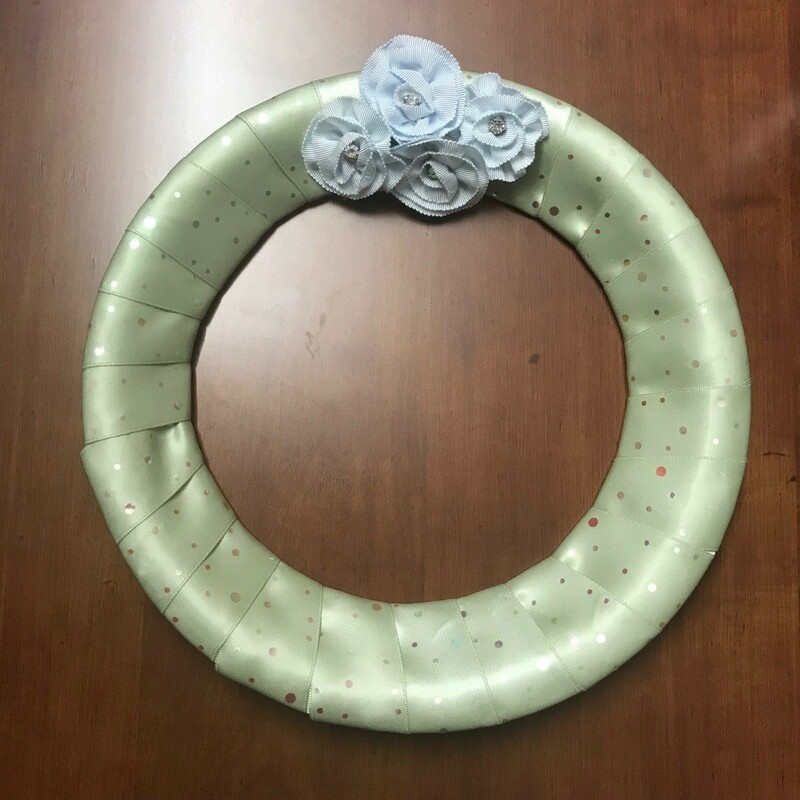 You can leave your wreath simple, as is, but I have teal accents on my desk and I like the teal theme, so I used some floral embellishments and taped them with masking tape as an accent. 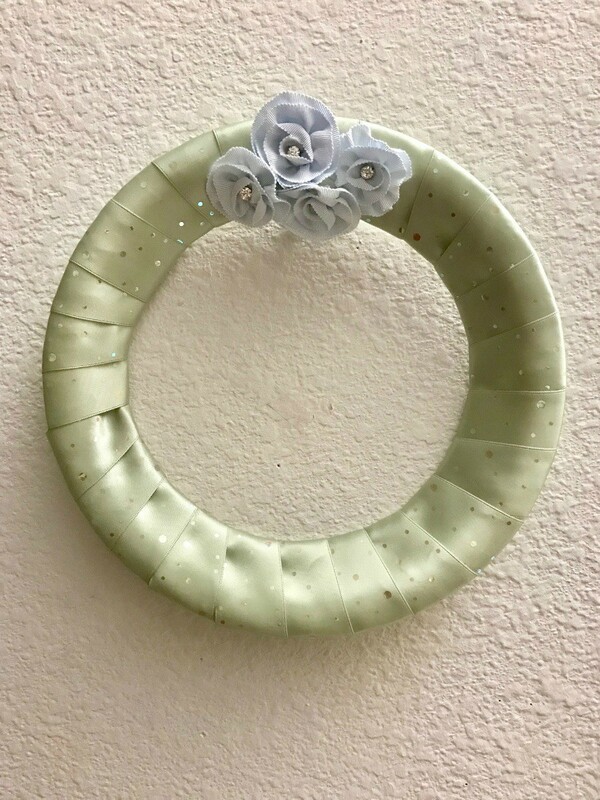 I love how this wreath can be hung with the floral designs at any angle and still look simple + nice.